Not only do alloy wheels look great on your vehicle but they add value too. Choosing to care for you them is paramount for their longevity, making them value for money. There are 2 main types of damage you need to look out for with alloys. All of the above can be avoided or at least repaired. We look after and care for the paintwork on our vehicles so why should the alloys be any different. By simply avoiding the kerb which causes gutter rash, washing the alloy wheels regularly with non corrosive cleaners will not only keep them looking good but it will also avoid the dirt and brake dust building up which can stain them. In the event of repairs being needed SMART Paintworx have a reliable, friendly team of technicians with years of experience. 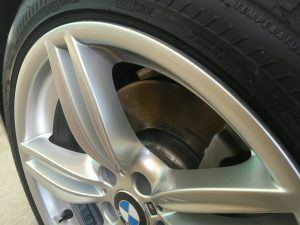 There are many products on the market for keeping your alloy wheels in as new condition but choosing one can be tricky. Cracked and dented alloys can cause loss of tyre pressure and can be extremely unsafe to drive depending on the level of damage. In some cases a cracked rim can be repaired but if it is too far gone you will be up for a replacement alloy wheel. The same can be said for dented alloys. 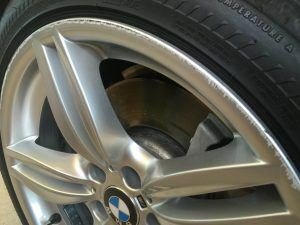 In this instance prevention is the best option and by avoiding pot holes, gutters and anything that will cause undue stress on your alloy wheels will certainly be better for you and your pocket. Although the initial outlay can be rather expensive depending on which type and style you choose. Treated correctly they can last a substantial amount of time making it money well spent when choosing to sell your vehicle. This entry was posted in alloy wheels and tagged alloy wheels, gutter rash, rim repairs. Bookmark the permalink.